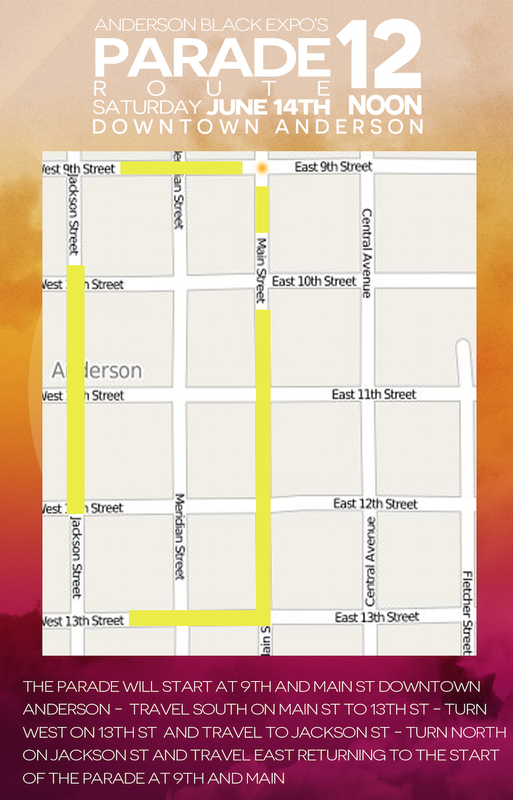 See the Anderson Black Expo parade route above. It begins at 9th and Main St at noon this Saturday, June 14. We'll see you there!